A two-part, easy to use, fast drying epoxy compound for filling holes and repairing scratches in gelcoat and fiberglass. Interprotect Watertite YAV135 is especially recommended for use to fill gelcoat blisters below the waterline. It is recommended for use with the Interprotect Epoxy Barrier System or VC Tar2. 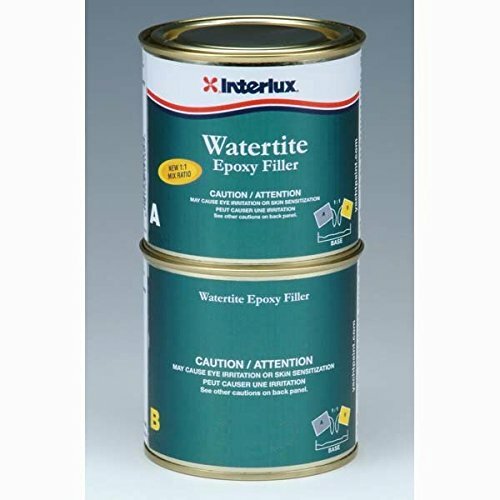 Interprotect Watertite YAV135 is an excellent fairing compound due to its unique two-phase cure, which gives a long easy-to-sand window. Interprotect Watertite YAV135 can be applied to a thickness of 3/4" without sagging and its superior spreadability makes it an ideal glazing compound for filling small nicks and scratches.Available in 500ML and Liter cans. If you have any questions about this product by Interlux, contact us by completing and submitting the form below. If you are looking for a specif part number, please include it with your message.